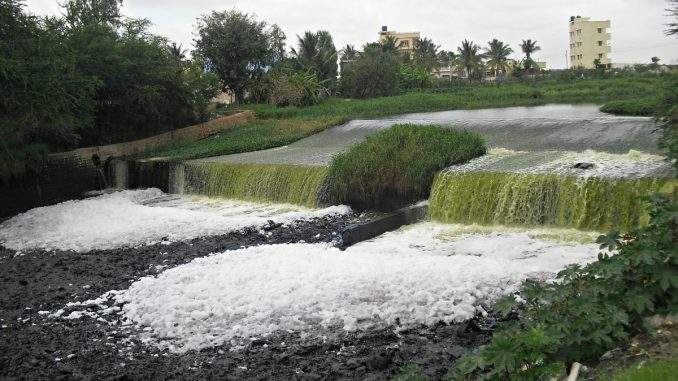 Srinivas (52), Mahadev Gowda (42), Narayana Swamy (35) died while they were cleaning the Collection Tank of the Sewage Treatment Plant (STP) in ND Sepal Apartments in HSR Layout. The apartment management association RWA of the 80-unit complex, largely occupied by software engineers, now finds itself charged with a crime under IPC section 304A. STP issue was in news recently because of a tussle between the government and the apartment owners. Following a National Green Tribunal (NGT) order, the Government made it mandatory for even older apartment complexes to have STPs in their premises and added a penalty for failing to follow it. Following protests, the government stepped back and suspended the penalty clause for retrospective STPs. But with these three deaths, questions about what goes into the maintenance of the STPs are in focus that go beyond just setting up these systems. “To begin with there is no set standard by the Karnataka State Pollution Control Board (KSPCB) on approved technologies for STPs. If you are an apartment complex and submit a proposal for an STP, which can range from batch reactors to septic tanks, it will be approved. There are no defined parameters on what kind of technology needs to be employed in proportion to the the scale.” says Dr Ananth Kodavasal, of EcoTech Engineering Consultancy. In 2012, the KSPCB commissioned a study on the effectiveness of the various technologies available and the presentation outlined the details of each of them. “I personally vouch for the Classical Conventional Technology over the others and have repeatedly told the KSPCB the same. They haven’t heard me out.” says Dr Ananth. Moving away from the debates of technology to safety, a basic working STP follows a sequence of operations before releasing treated water. Collecting Tank —–> Aeration Tank ——-> Settling Tank ——> Intermediate Tank—–> water pumped out through filters. “The effluent water that first comes into the Collection tank is a mix of liquid and solid waste. This tank is continuously aerated with diffusers or air blowers to avoid the build of methane gas because of anaerobic bacteria which happens when the tank does not have enough ventilation. A well-ventilated tank is where aerobic bacteria thrives and carbon dioxide is the byproduct. The air blowers are connected to pipes that constantly push fresh air. At first glance, I would guess the men were sent into this collection tank. The only reason for methane to build up in the collection tank is if the STP has not been operated. From the pictures I have seen, there is an issue of ventilation as well. Methane is an odourless gas and these men may have gone in without realising the danger.” says Dr Ananth. But with the options of mechanised cleaning available, why would men need to go down into the tank at all? “Even in the most serviced and well maintained STPs, where the tank is cleaned thoroughly every two years, mechanised cleaning does not work completely. One man has to go down into the tank to push the sludge that allows the mechanised action to do then its job.” says Dr Ananth. Safety is therefore paramount. The spaces are highly toxic and dangerous and classified as Class A Confined Spaces. “No man going into these spaces can go in without protective gear – gumboots, harness, air masks – every precaution needs to be taken. No man can stay inside these spaces for more than 10 minutes, even then we have air pipes constantly pushing in fresh air. Therefore ventilation becomes very important. Single entrances will not work. You need at least two or more openings depending on the size of the tank.” explains Dr Ananth. The operating cost of running an STP is very high. Most of the apartments who have them try to cut corners. “To use mechanised cleaning costs about Rs 4,000 to Rs 5,000 for every tank that is pumped out. If you have to pump out about 10 tanks of sludge, the cost is substantial. Here they paid with three human lives instead,” says Dr Ananth. The rules specify that the KSPCB officials need to conduct annual checks of these STPs to ensure they are functioning right. Most often this remains on paper. 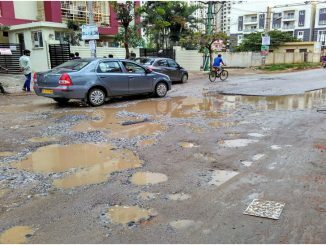 So even as the government mandates STPs for upcoming apartment complexes, with no set guidelines on technology to be used and its maintenance, the problem may continue to tragic repercussions every time a sewage line is blocked. IAS officials get transferred every now and then. But it’s different this time—people are rallying behind an officer, Subodh Yadav, who was working on setting right garbage problem in Bengaluru. The article mentions a couple of documents to be embedded (e.g. ’embed the presentation which is available in the drive’) in the text. Is it possible to have access to them? Also, are there rules for people cleaning out STPs other than the Prohibition of Manual Handling Act? Thanks.